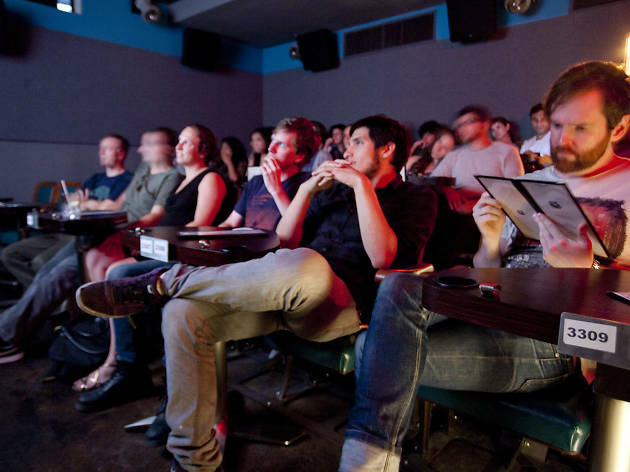 Park Slope cinephiles will reap the rewards for their patience this spring when the first spin-off of Williamsburg’s Nitehawk Cinema finally opens in the neighborhood’s old Pavilion Theater. (RIP, our sticky-floored friend.) Nitehawk Prospect Park was set to launch last fall, but architectural surprises unearthed during demolition—including the discovery of original balconies from the 1928 Sanders Theatre, which preceded the Pavilion—set the project back. What can we expect from Nitehawk 2.0? In a word: More. The complex is more than three times larger than the Williamsburg location, with seven theaters seating 650 moviegoers. “The size will allow us to play even more 35-millimeter films, program more signature series screenings, and we’ll be able to offer blockbusters and summer tentpoles,” says Nitehawk founder Matthew Viragh, who fondly recalls smuggling booze into a showing of Jackass 3D on his last trip to the dilapidated Pavilion. 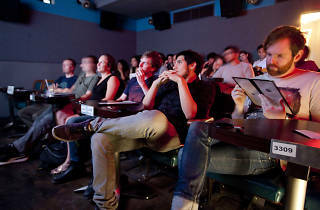 Nitehawk remains unique among New York’s growing number of dine-in theaters, says Viragh, because it was “born and bred in Brooklyn”; the theater sources local suppliers and bolsters local filmmakers by showing shorts and full-lengths by Kings County directors. “Delivering a cinematic experience that these neighborhoods can be proud of is very important to us.” Bring it on. Joel is the Editor-in-Chief of Time Out North America. He grew up near one of Australia’s top surf beaches but was too busy brunching to notice. Follow him on Twitter @joelmeares. They should consider running their own Nitehawk Film Festival like BAM does. That will bring many cinephiles to their doors!